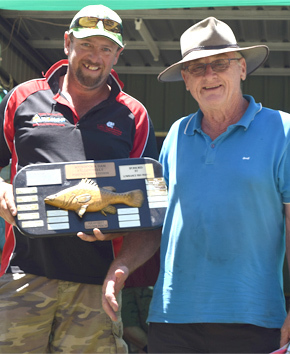 The Association’s annual Boondooma Dam Yellowbelly Fishing Competition shattered last year’s all-time record of 832 competitors by almost 25 per cent. 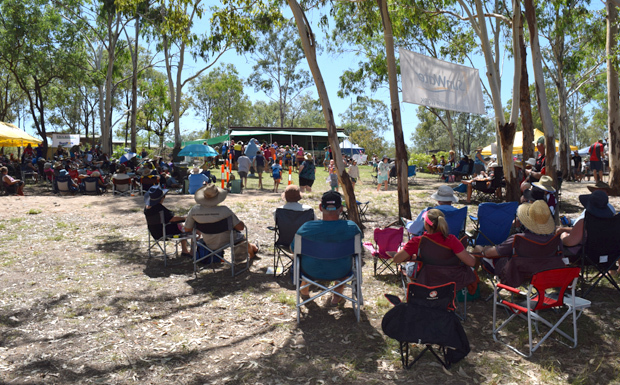 In all, 1013 keen anglers – 208 juniors and 805 seniors – packed the Lake Boondooma Caravan Park for a fun weekend of angling. Yellowbelly spokesman Terry Allwood said the lake fished extremely well for this year’s competition, with 260 fish going through the catch and release section and another 329 in the gilled and gutted section. The dam had begun the weekend at 36 per cent capacity and finished half a percent lower, but this had no impact on fish numbers. Cash and other prizes were presented at the end of each of the three weigh-in sessions, along with trophies to the overall winners at the conclusion of the event. 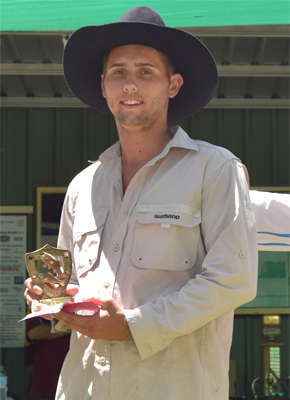 This year, the Catch and Release category of longest native – targeting Australian Bass and Yellowbelly – was won by Sheldon Free from Palmwoods, with a Yellowbelly measuring in at 540mm. Sheldon took home a $300 cash prize and trophy, sponsored by Thug Lures. 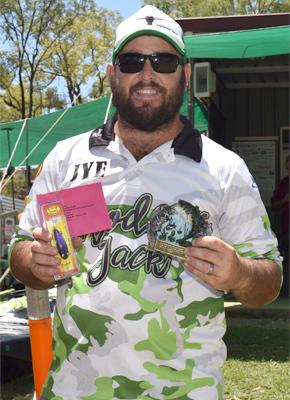 Jye Gilmore walked away with win for the most fish (Bass and Yellowbelly) caught and released throughout the competition, with a total of 11 fish presented to the weighmaster. The Heaviest Yellowbelly title was won by Jim Dunn from Wondai with a Yellowbelly of 2.405kg. 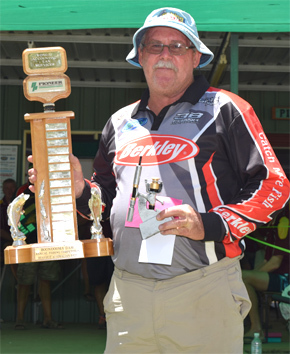 Jim took out a $410 cash plus prize and trophy sponsored by Corey and Nikki Goldie from the Lake Boondooma Kiosk. The winner of the heaviest Bass section was Russell Gscheidle with a Bass of 1.270k, who secured $370 plus a trophy sponsored by Wondai Accounting and Tax Services. 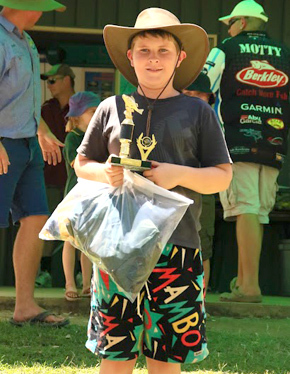 The Hanwood Fish Hatchery champion junior angler for Yellowbelly was Nicolas Holmes from Mt Rascal, who landed a 1.985kg specimen. 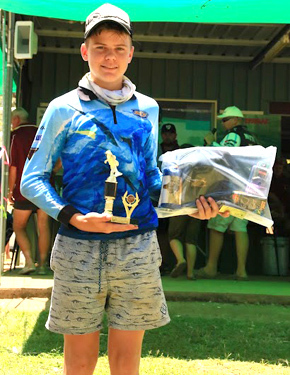 The Bass section of the junior competition was won by Jake Richter from Toogoolawah, with a fish weighing in at 1.38kg. 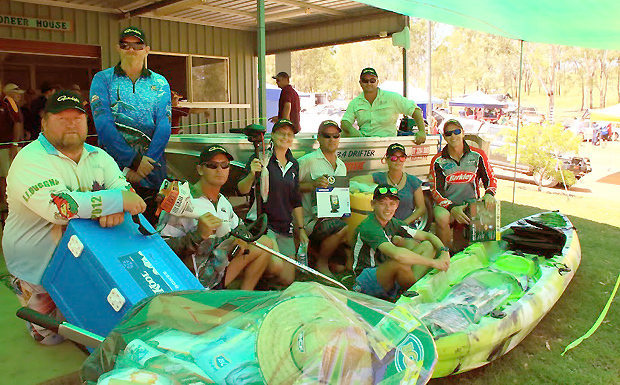 The 3.4m Bluefin Boat motor and trailer package was won by Matthew Wyvill from Yarraman, who has been a regular participant in the Yellowbelly for many years. The prize was sponsored by the Lake Boondooma Kiosk and South Burnett Regional Council. The Dragon Kayak runner-up prize went to Daniel Gleeson, from Chinchilla. Terry said the extreme heat and clear skies that characterised this year’s event failed to deter patrons. Many had booked their place in the competition months beforehand, and had come prepared for a weekend of camping, fishing and family fun activities whatever the weather held. Participants came from all over south-east Queensland, and the South Burnett was very well represented too. 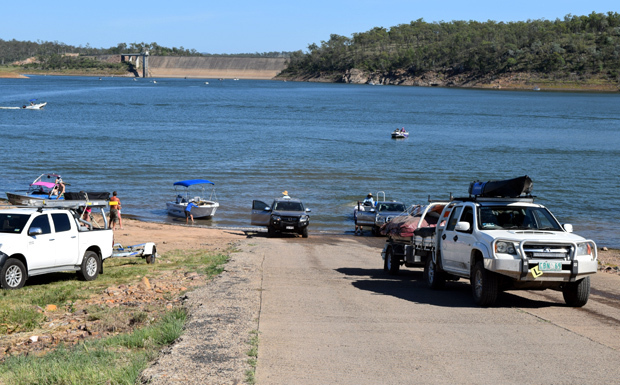 Lake Boondooma manager Corey Goldie thought the biggest problem organisers faced over the weekend was keeping recreational boaties safely away from the fishermen. Corey said at one point he had seen so many boats out on the water he thought the dam looked like a version of Sydney harbour. 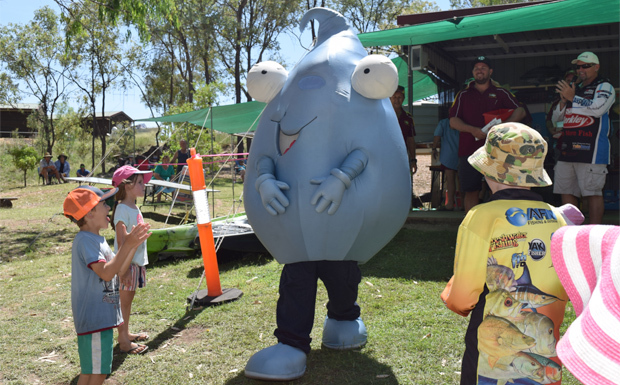 Profits from the event – estimated to be more than $20,000 this year – we be used to supplement fishing permit funds from the Queensland Government to keep the lake stocked with fish. To date, the Fish Stocking Association has put approximately 4.9 million fingerlings into Lake Boondooma. Terry passed the Association’s congratulations on to all the winners, as well as a big “thank you” to everyone who attended and made this year’s competition such a success. Next year’s Yellowbelly will be held on February 10-11. Entry costs will remain at $20 for adults and $5 for juniors aged 16 years and under.